Julia Gold is dedicated to the practice of law in estate planning, tax, probate, trust administration and business succession planning. Ms. Gold is licensed to practice law in Nevada and California and is a certified specialist in estate planning, trust and probate law, by the California State Bar, Board of Legal Specialization. The law Offices of Julia S. Gold are located in central Reno, Nevada. Julia is also able to meet with clients at a convenient location in Truckee, California, by client request. Ms. Gold's commitment to excellence and service to her clients is the foundation upon which she practices. The Law Offices of Julia S. Gold, PC will represent your Estate Planning legal matters. 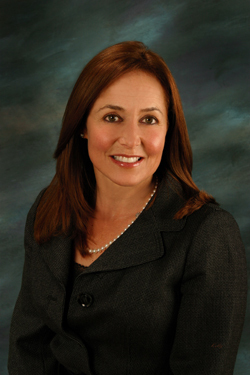 Julia Gold is a tax and estate planning attorney licensed to practice in Nevada and California. Julia practices primarily in the areas of estate planning, family business planning, trust administrations, and probate as well as in the areas of tax exempt entities, corporate law, partnerships and limited liability companies. Julia holds a Bachelor of Science degree in Biology from the University of California, Davis and a law degree from Northwestern School of Law, Lewis and Clark College. Julia obtained an LL. M. (Master of Laws-Taxation) with honors from Golden Gate University, School of Law in 1998. Julia is a certified specialist in estate planning, probate and trust law, California Board of Legal Specialization, California State Bar, a member of the California and Nevada State Bars and a member of the American Bar Association (Taxation and Real Property, Probate and Trust Law Sections). Julia is a board member of the Washoe County Probate Bar, the co-chair for the Nevada State Bar tax and estate planning section's legislative committee, a member of the UNR Planned Giving Council, a board member of the Truckee Meadows Community College and a board member of the Truckee River Legacy Foundation. Julia's hobbies include river kayaking, mountain biking, skiing, hiking travel and literature.